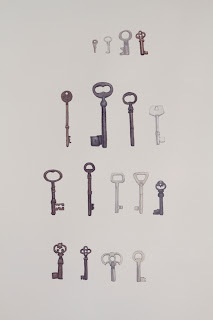 Seventeen Keys to find my way Home. 2013. Watercolour on paper. 76cm x 56 cm. I made gold, silver and brass watercolour paints for this work using Langridge superfine pigments and watercolour binder, the pigments behave beautifully, I'm so impressed with them! 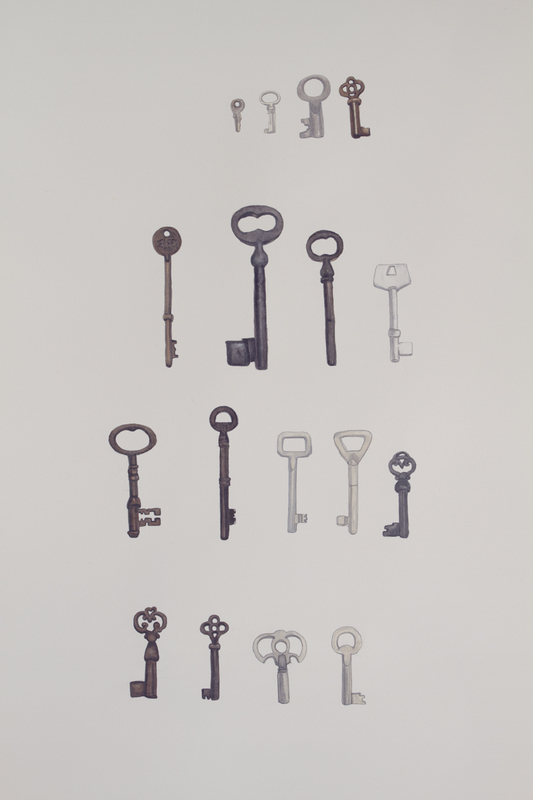 Seventeen Keys... is part of a new suite of work for an upcoming exhibition.